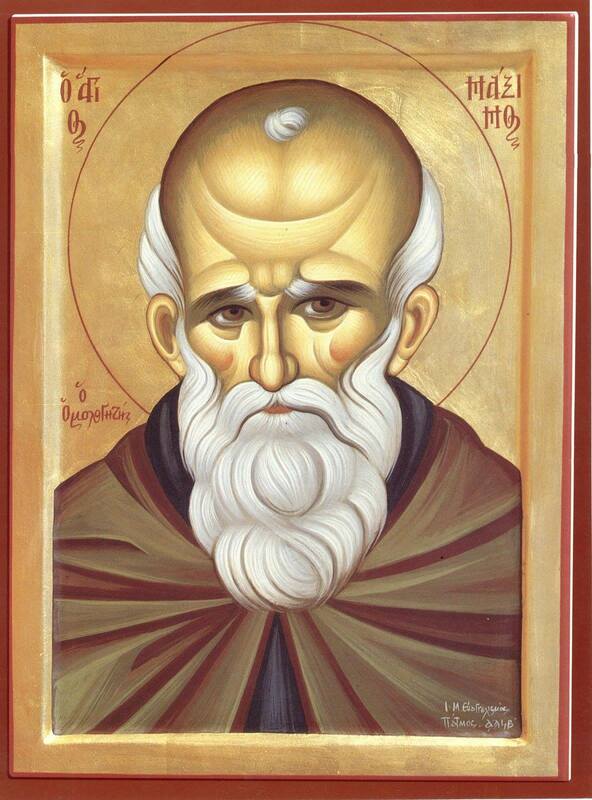 Father John Meyendorff called St. Maximus the Confessor the “Father of Byzantine Theology.” Though he lived long after the Council of Chalcedon, he perhaps drew out the full importance of its confession that Jesus, the Son of God was one in essence with the Father, and yet also united in essence with us in his human nature. Here we see what the gospel stories of Christ’s birth and baptism are truly revealing to us. We call the incarnation, the assumption of the Word of God of human nature, a mystery. This is because we cannot wrap our human minds around this theological reality. To form mental concepts, which we might call “ideologies” are dangerous because they skew the reality. Before Maximus, some theologians put so much emphasis on Christ’s humanity that his divinity was compromised (for example, Arianism or Nestorianism). On the other hand, some put so much weight on his divinity that Jesus ended up as simply God “rattling around” in a human vessel. These tensions still exist today as theological thinkers try to grasp what cannot be grasped and end up with an “incredible” (in the true sense of the word) Christ. St. Maximus taught that the Son of God was a full human being, with a created human soul, human mind and human will. This has practical consequences. If indeed the Word of God is incarnate in a human body and soul, mind and will, with a human genealogy (Mary was of the House of David) and a human history. If indeed he has interacted with us in word and sight (as a human being, we can make an image, “icon” of his appearance), then all that we are and have as human beings enters into a relationship with God that transforms us into sharers of the divine nature.